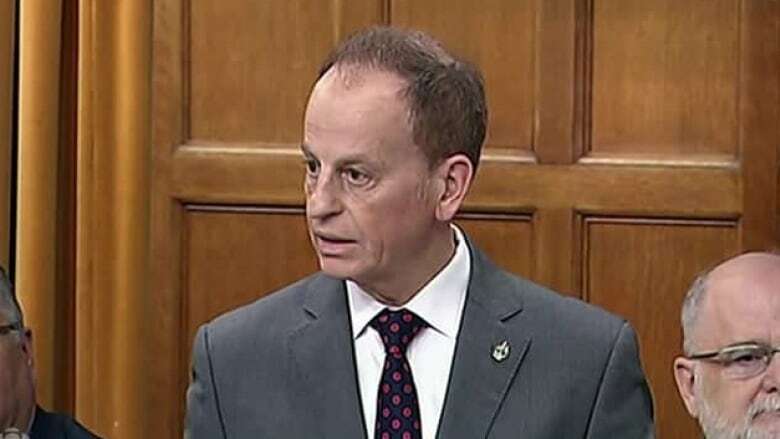 Liberal MP Nicola Di Iorio, who has has not been seen in Parliament since the House resumed sitting Sept. 17, is resigning. Liberal MP Nicola Di Iorio, who has has not been seen on Parliament Hill since the House resumed sitting this fall, says he's done with public life — and this time, he means it. The Quebec Liberal MP first announced his resignation last April, but didn't follow through on his promise to quit. After posting a lengthy statement on his Facebook page Tuesday, Di Iorio told CBC News his resignation will take effect January 2019. In his statement, which appears to be translated into English, he both thanks Prime Minister Justin Trudeau for taking the issue of road safety seriously and warns about the risk recreational cannabis use poses to drivers. "I have always believed that the voluntary work I do contributes, like those of so many others, to make a difference, to improve the road balance and thus to save lives," the statement reads. "I knew that the commitment to legalize cannabis would pose a considerable challenge." He goes on to thank the people in his riding of Saint-Léonard—Saint-Michel, which he's represented since the 2015 election. "I will serve my fellow citizens fully. I will be in the room when required by my whip or by you and I will continue to exercise all my other functions as members. Moreover, even after my resignation, I will look into the interests of my constituents until the general election by making me available, present and alert to their concerns and offering my assistance as a volunteer." Fellow Quebec Liberal MP François-Philippe Champagne said he wishes Di Iorio well. "I think it brings clarity to the whole issue. I think it allows all of us to move on," he told reporters before question period. Last week, Di Iorio posted a short message on Facebook saying Trudeau had assigned him responsibilities that required his absence from the House of Commons. While Di Iorio refused to elaborate on what he's doing with his time, a government source speaking on background said that he was working on projects related to road safety. The government must call a byelection within six months of a seat being vacated.